Leverate has secured the services of foreign exchange (FX) veteran Fadi Jaber, who lands at the technology provider after a lengthy tenure in the financial services industry – he joins Leverate as its newest Head of Customer Success with immediate effect, Finance Magnates has learned. Mr. Jaber originally joined CPattern as its Vice President (VP) of Business Development back in January 2015, having spent over a decade in the foreign exchange (FX) industry in a variety of roles. In this capacity, Mr. Jaber focused on developing the company’s business as well as its front and back end capabilities. Additional stops also included stints Head of Sales at CMTrading, Director of Business Development at GFC Markets, and several senior level positions in business development at AVA Capital Markets, dating back to 2007, according to information made public on his Linkedin profile. “Fadi has been a client of Leverate in the past, he has been a partner and a friend for many years and we see him as a perfect fit for our company. We are really happy to have him on board,” said Avishai Ben-Tovim, Chief Revenue Officer at Leverate. 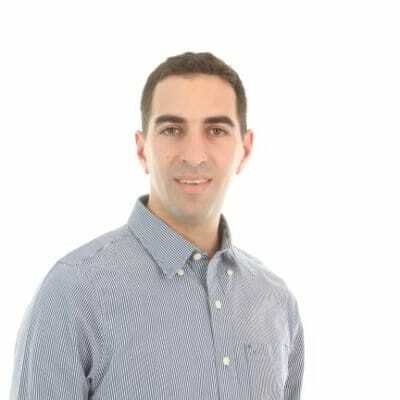 The appointment is the first at Leverate in 2016 since the addition of Ben Richter as its Head of Institutional Sales back in January, who came over from FXCM Israel (FXCM Trading ltd).